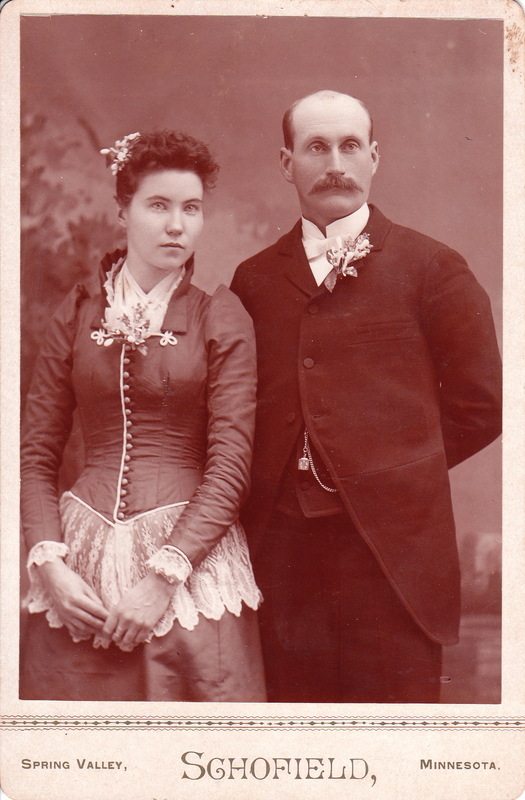 A beautifully dressed couple pose for their portrait at a studio in Spring Valley, Minnesota. 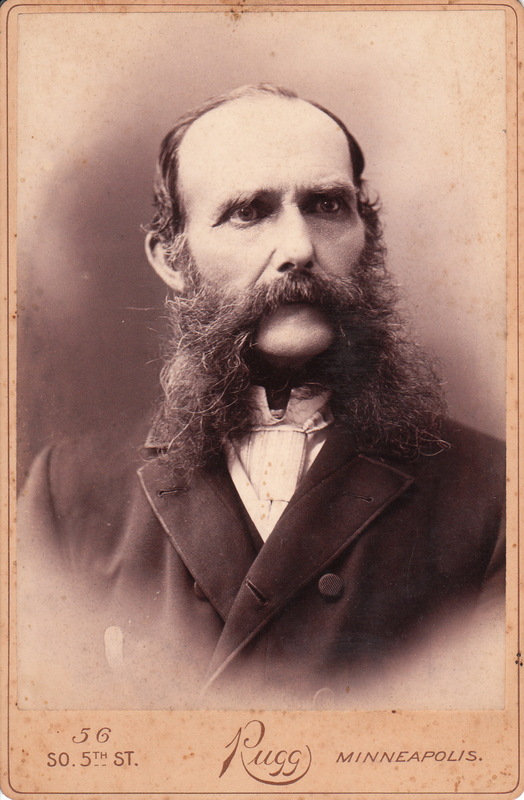 The photographer is Lucious M. Schofield who operated out of Spring Valley between 1889 and 1894. . Schofield’s gallery was taken over by E. G. Washburn. The couple in this photograph is dressed for a formal occasion and the quality of their clothing indicates that they are likely financially secure.